Accepta’s highly effective odour neutralisers are scientifically formulated to react with both simple and complex odour molecules to efficiently eliminate them. 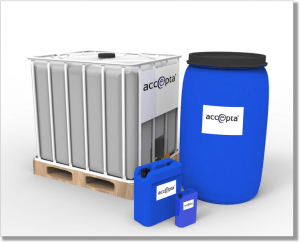 Accepta’s chemical odour control systems will quickly neutralise hydrogen sulphide, ammonia, amines, mercaptans, skatole, sulphur dioxide, acetaldehyde, cadaverine and more. Our fully biodegradable odour control chemicals are environmentally friendly and are harmless to humans and animals. Accepta’s versatile odour control formulations will effectively reduce or neutralise odours generated in many food, retail, industrial, effluent, landfill, leisure and commercial environments (both internal and external). They will eliminate tobacco smells and can be used for the reduction of malodours in applications including effluent and sewage treatment works, food processing plants, waste management and landfill sites, offices, hotels, hospitals and more.